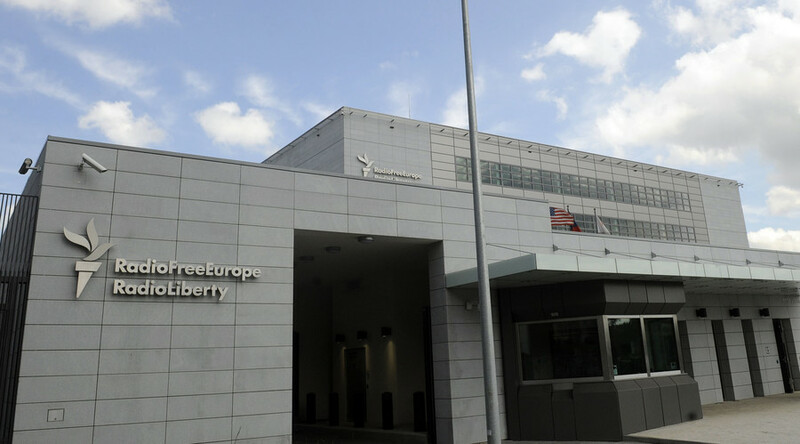 By partnering with the virulently anti-Russian Interpreter blog, Radio Free Europe/Radio Liberty further erodes its claims of even-handed reporting. That type of fall from the moral high ground might hurt. Imagine you are Mikhail Khodorkovsky, a former Russian oligarch convicted of tax evasion and embezzlement.By your own admission, you have ambitions to one day become the President of Russia. As in many walks of life, there are things you can do to further that ambition and other options that would damage it. Funding opposition groups inside Russia is probably a smart move. Allegedly stumping up cash for Meduza, a Russian-language news organization run from Riga makes sense. On the other hand, allowing your family fund to bankroll an American website dedicated to smearing Russia and its people, in English, is just about the most ridiculous waste of resources imaginable if your plan is to one day lead that country. For the obvious reason that it presents a large bull’s-eye for future political opponents to aim their darts at with accusations of treachery. 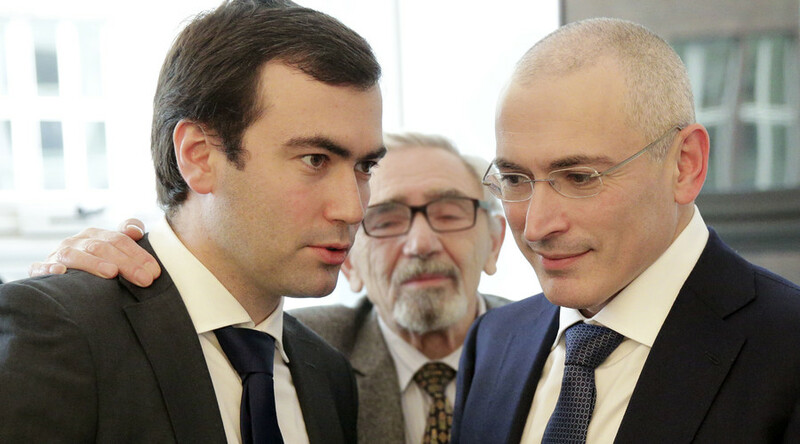 But that is, apparently, what the Khodorkovsky family did from 2013 to 2015. From the moment it was founded, right up until last month, The Interpreter has claimed that it was a “special project” of the Institute of Modern Russia, a New York think tank ostensibly controlled by the businessman’s son, Pavel. Additionally, the blog stated that it was the recipient of a “seed grant” from the London-based Herzen Foundation. There are no references online to Herzen, outside of its association with The Interpreter. Now, in the most bizarre way possible, The Interpreter has come in from the cold. The blog’s new backers are Radio Free Europe/Radio Liberty, the US government-funded broadcaster, which was paid for by the CIA until 1971. Those are, outwardly, noble values. Russia, however, represents a curious target for RFE/RL messaging. The country enjoys a vibrant independent media landscape. Household names like Novaya Gazeta, Vedomosti, Echo of Moscow, Slon, TV Rain/Radio Dozhd and The Moscow Times attest to that fact. Furthermore, the internet, with its millions of news resources from around the world, is almost completely unregulated in Russia. Of course, there is a robust public media sector in Russia but this is also true in other European countries like the UK, France and Germany. But even if Russia’s information space was stuck in a Soviet-style blackout, RFE/RL’s link-up with the Interpreter wouldn’t fulfill any of the criteria the agency prides itself on. The blog is not relevant to the vast majority of people inside Russia, as it’s only published in English. The Interpreter is completely aimed at a Western audience but provides little actual insight into the motivations, concerns and interests of the Russian people, instead focusing exclusively on the most sordid stories that take place in Russia, while adding to them the most negative spin possible. Assuming RFE/RL was fully aware of the Interpreter’s editorial stance, the new collaboration is indicative of the path RFE/RL and its parent, the Broadcasting Board of Governors (BBG), are pursuing in their treatment of Russia. The Interpreter appears to have a permanent staff of four. It then outsources other work to contributors, most of whom, like former NSA agent John Schindler and anti-Russia activist Paul Goble, almost exclusively come from the neoconservative, i.e., heavily interventionist side of the US political divide, which, where Russian is concerned, means that they perceive the country as a foe of America, and believe the US government should be more heavy handed in undermining Moscow. The more senior of its two editors, Michael Weiss, is a self-styled ‘expert’ on both Russia and Syria, who speaks neither Russian nor Arabic and, by all accounts, has spent little or no time in Syria or Russia. His colleague, James Miller, previously worked on the Middle East beat. His Twitter handle, @millermena, meaning “Miller Middle East North Africa” suggest his focus was on that region, rather than Russia. How Weiss came to, apparently, work for Khodorkovsky is unusual in itself. An unsuccessful former Republican Party election candidate, he worked in London for the Henry Jackson Society (HJS), another neocon think tank, which attempts to manipulate UK public opinion to follow an interventionist, pro-war worldview. He also spent time with ‘Just Journalism’, a project dedicated to keeping tabs on journalists who wrote critically of Israel in the aftermath of the 2008/09 Gaza war. According to Marko Attila Hoare, a former HJS member: ”Weiss reinvented himself at the HJS as an expert on Russia – about which he has no more academic expertise than he does about the Middle East.” Hardly a resounding endorsement. Peter Pomerantsev, Weiss’ co-author on a Russia report and ally on various one-sided panels, has lobbied extensively on behalf of the BBG, RFE/RL’s parent entity in its bid for increased funding. As Pomerantsev and Weiss are inextricably linked, it begs the question - had RFE/RL already agreed to a deal with The Interpreter, or was it at least negotiating, at the same time the founder’s accomplice was lobbying American politicians on its behalf, with those elected representatives unaware of the link? RFE/RL's statement on the arrangement does not address this issue. Nor does it touch on the volume of funding. The Interpreter specializes not just in endless anti-Russia articles, but in numerous hit-pieces on Westerners who disagree with the blog’s worldview. The team has accused an American diplomat of being a Russian agent and has repeatedly harassed and slandered Stephen Cohen, who is regarded as the leading US academic authority on Russia. Thus we have the farcical situation where a group of self-appointed Russia ‘experts’, with little qualifications to speak of, are attacking a figure whose credentials on Russia are beyond reproach. Now, they are, officially, backed by American tax dollars. 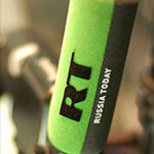 Although, as John Helmer, the veteran Moscow journalist, pointed out last year: “Polish sources say they suspect that in 2012 the US Government restarted the financing of think-tanks, academics, books and journalism to produce anti-Russian material, which was once a feature of psychological warfare campaigns during the Cold War.” As an example, Helmer cited “a publishing conduit in Amsterdam which was funded by the CIA for thirty years, called the Alexander Herzen Foundation. Its task was to assist in the smuggling out of the Soviet Union of manuscripts from dissidents, and to publish and promote them in both Russian and English.” He added: “The foundation started in 1969, and reportedly closed down in 1998. Fifteen years later, a foundation of the same name has begun handing out fresh money for the same regime-change purpose.” With this in mind, perhaps the change in set-up isn’t as drastic as it seems? RFE/RL has slowly become more aggressive in attacks on Russia in recent years. Nevertheless, that transition might have escaped casual readers. Now, the BBG’s poster child has publicly removed the gloves in the most spectacular way possible: by teaming up with a blog which represents such a narrow view of Russia, RFE/RL effectively demonstrates that its anti-Russian agenda trumps the ideas of balanced journalism it once espoused.